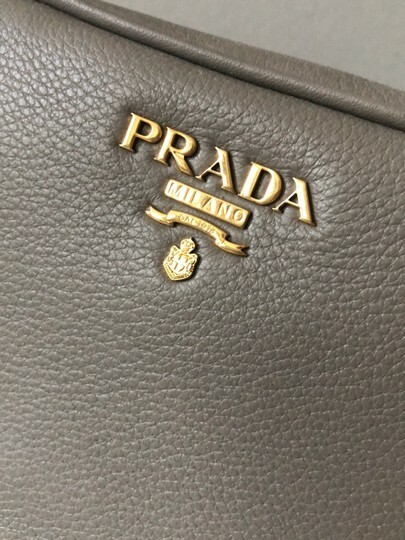 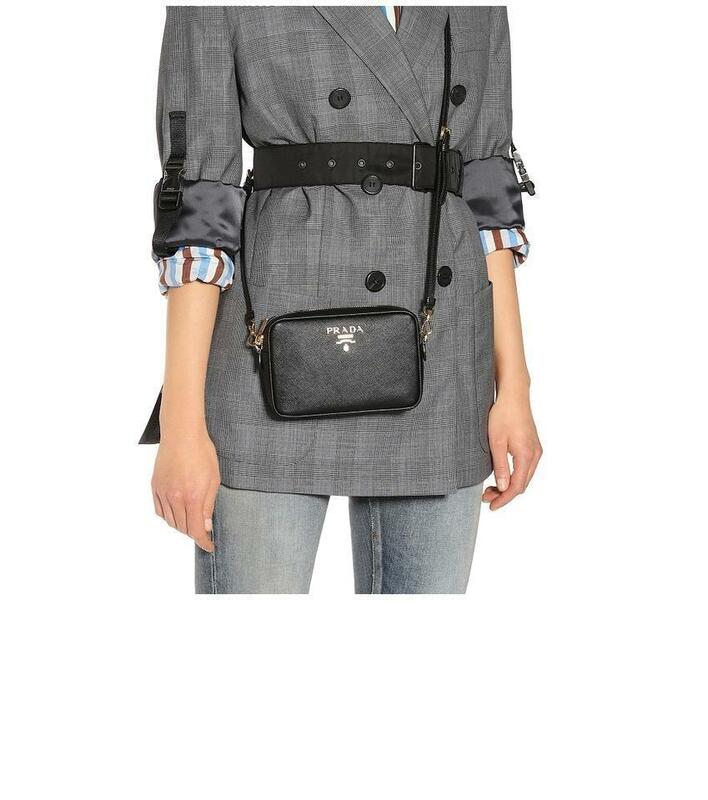 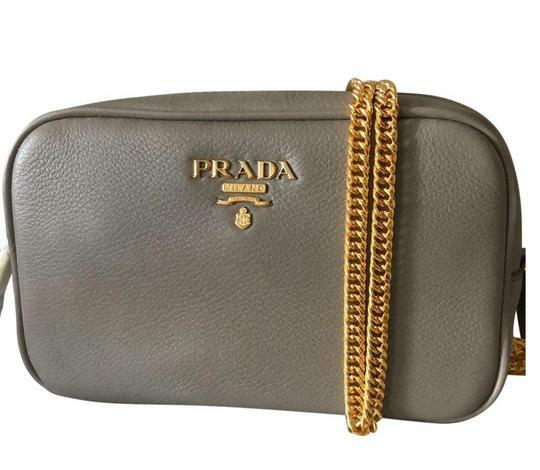 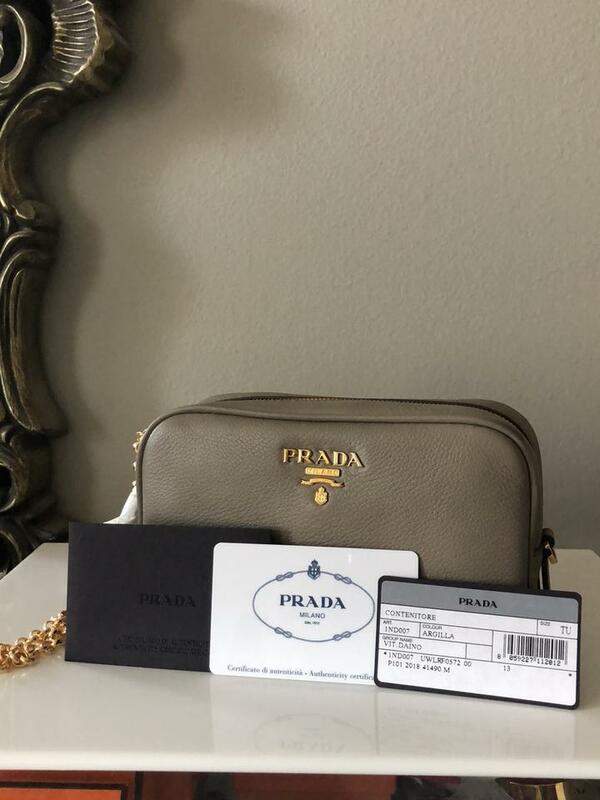 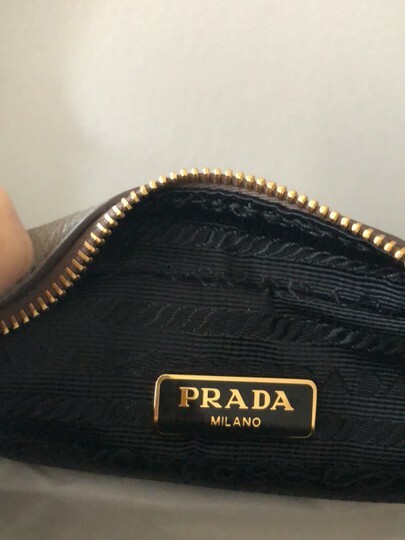 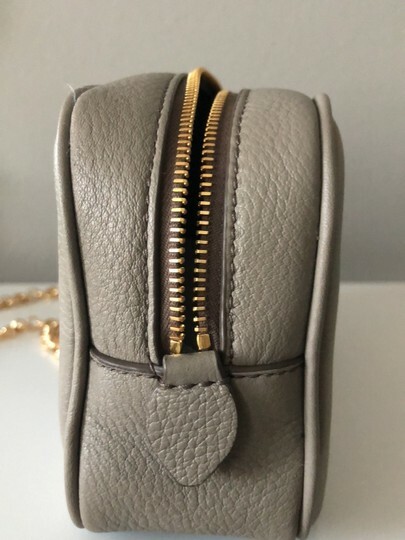 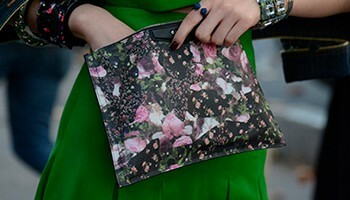 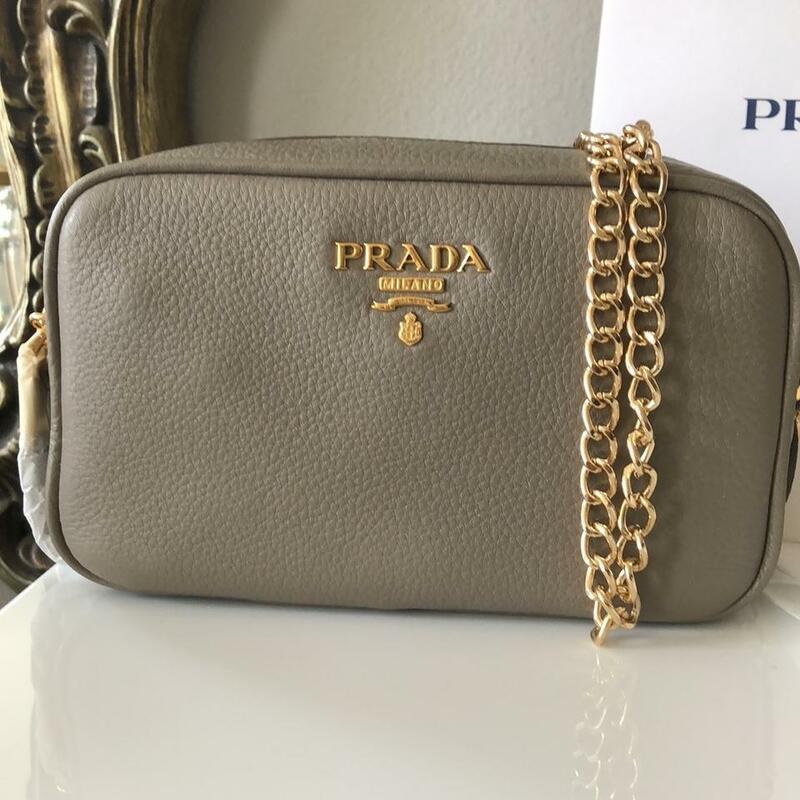 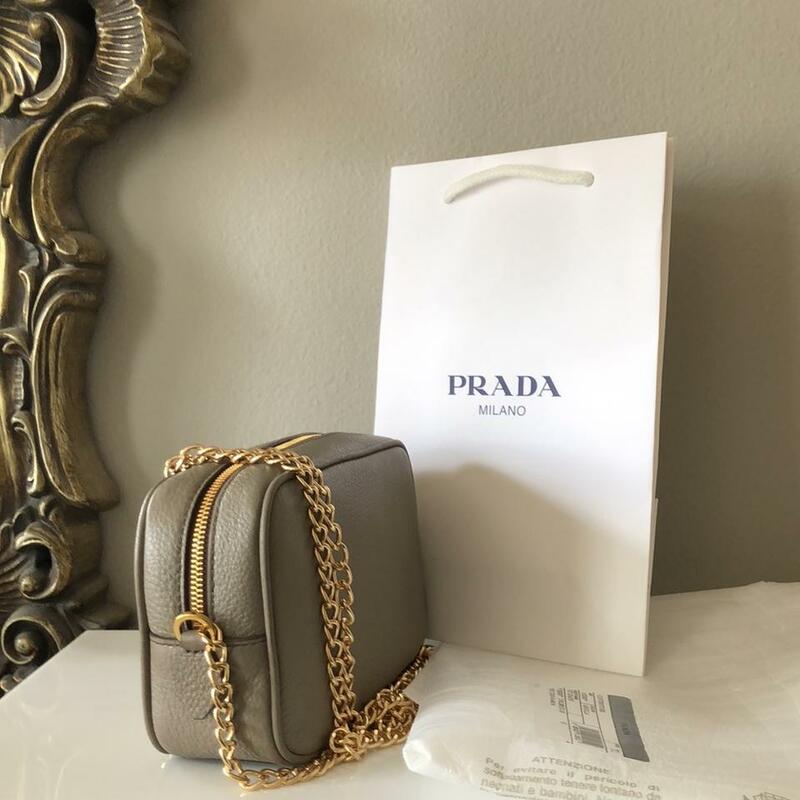 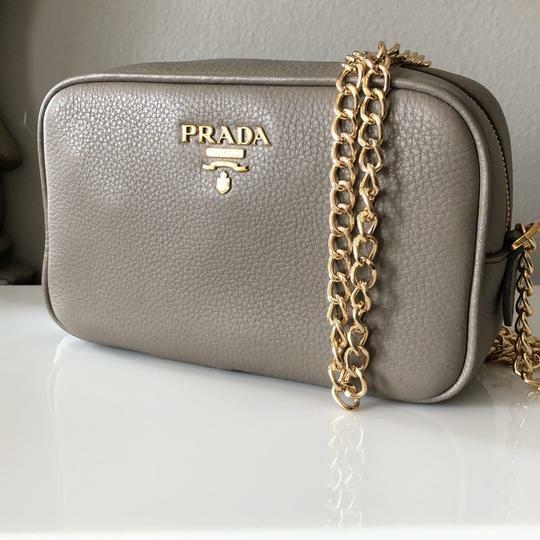 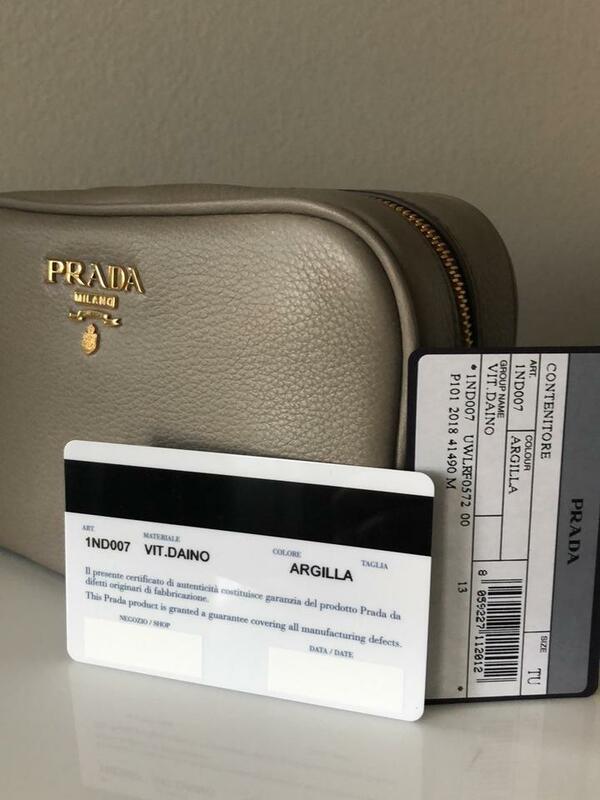 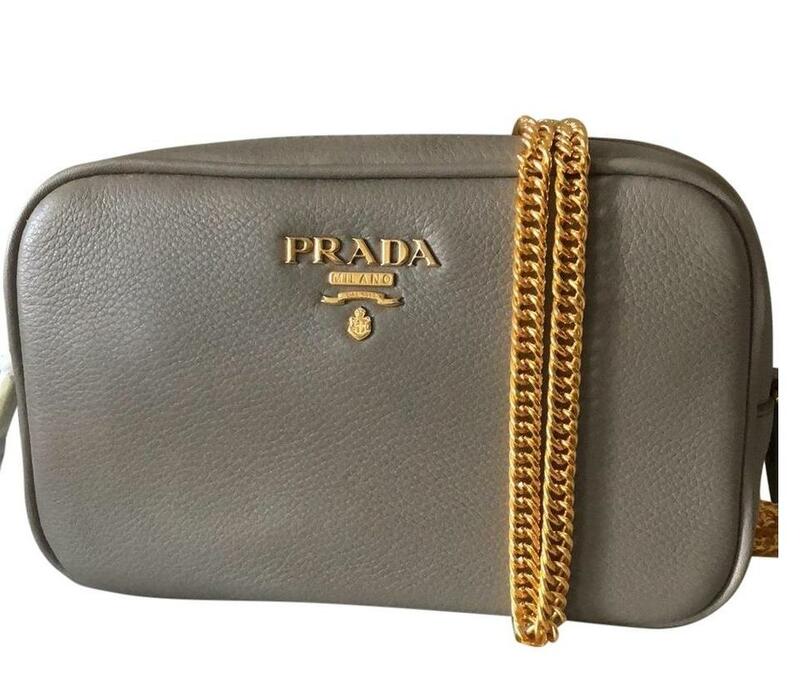 This is a brand NEW Leather COSMETIC bag from Prada. 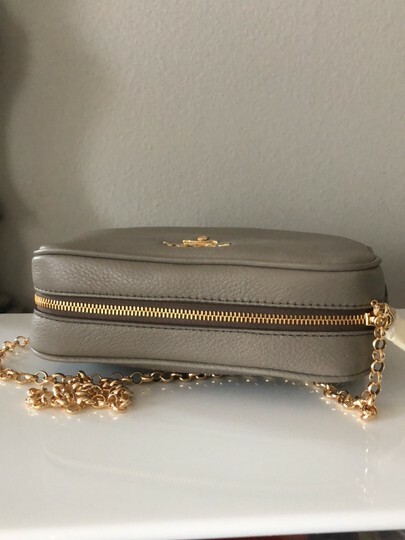 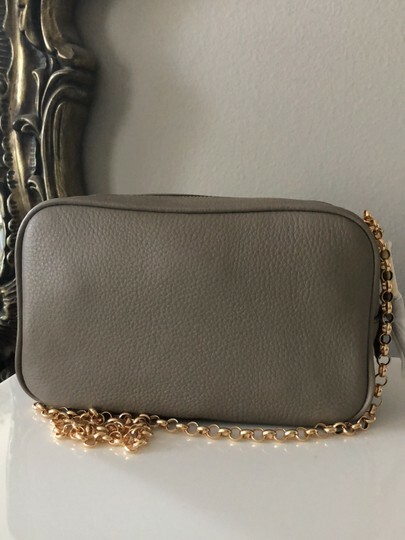 I ADDED a gold tone chain/strap to make it /use it as a cross-body bag OR Shoulder Bag. 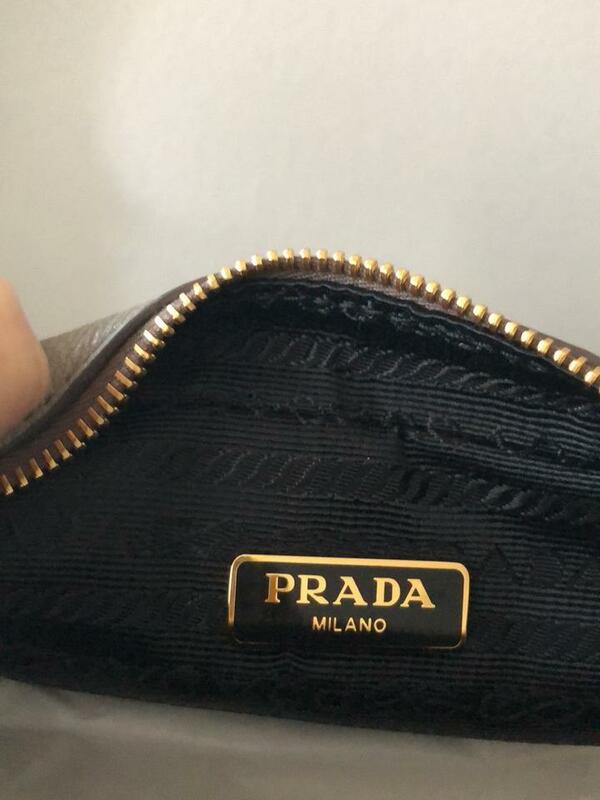 4H x 7"W x 2"D.
The size of this bag is identical to Prada Camera bag that retails for $950, pls look at the last image to see the size.